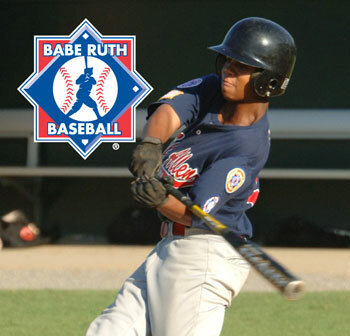 The Babe Ruth League is for players ages 13-18. It is played on a regulation field with 90 bases and 60' 6" pitching mound distance. It is played with regular Major League rules with a few exceptions such as limiting number of innings pitched per week, invoking a continuous batting order so all players present will be in the batting line-up regardless of whether they are playing in the field, etc. The program is designed to teach skills, mental and physical development, a respect for the rules of the game, and basic ideals of sportsmanship and fair play. The league will typically consist of 5-6 Cheshire teams that play a 16-18 game schedule starting sometime in late April, followed by a week of playoffs which gets completed around the 3rd or 4th week of June . The majority of these games will be against fellow in town Cheshire teams with a handful of them being against teams from surrounding towns.